Training - Alexanderhof Training Academy, Inc.
Obedience training goes deeper than you would get in a chain store class, although, just like us if they don't use it they'll loose it. Instructors will show how to train your dog and expect you to practice, a minimum of 15 minutes a day, to training homework with your dog. During the courses you will learn the skills needed to most effectively and efficiently communicate in a language your dog understands while elevating the human-animal bond. Our instructors are dedicated to dog obedience training. They donate their time and are qualified with obedience and confirmation titles on their own dogs. None of the instructors are paid for their work and we ask you give them your full cooperation. All of the money goes back into the business for competition grade equipment, obstacles for confidence building, and maintenance. Please feel free to ask your instructor any training related question. Private Lessons, Group Sessions, and Certification Training Offered. Dog training classes are open to the general public for all breeds and mix breed dogs. and confirmation competitions with their own dogs. *Includes S.T.A.R. Puppy Test ($25.00 value) conducted on the 7th week. For puppies up to 10 months old. Optional: owner may submit completed test to AKC for S.T.A.R. Certificate & Metal ($10.00 charge). *Includes CGC Test or UKC SPOT Test ($25.00 value) conducted on the 7th week. Walk by Food / "Leave It"
*Includes CGCA Test ($25.00 value) conducted on the 7th week. Dog must have CGC on file with AKC to earn this title. IGP (Internationale Gebrauchshunde Prüfungsordnung) formerly IPO and Schutzhund. New rules and name change were implemented January 2019. 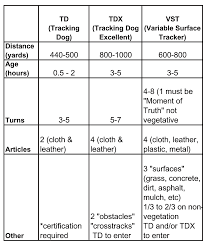 IGP consists of tracking, obedience, and protection. A dog must pass all three phases in one trial to be awarded an IGP title. Each phase is judged on a 100-point scale. The minimum passing score is 70. There are three levels: IGP 1, IGP 2 and IGP 3. Before a dog can compete for an IGP 1, it must pass a temperament test called a BH – Begleithundprüfung (traffic-sure companion dog test). The BH tests basic obedience and sureness around strange people, strange dogs, traffic, bicycles, and loud noises. A dog cannot pass the BH that exhibits excessive fear, distractibility, or aggression. Typical breeds found in IGP include: Airedale Terriers, Black Russian Terriers, Belgian Malinois, Beaucerons, Bouvier des Flandres, Boxers, Cane Corso, Dobermans, Dutch Shepherd Dogs, German Shepherds, Giant Schnauzers, Rottweilers, etc. Fun and energizing sport in which dog and handler complete a course that has been designed by the rally judge. 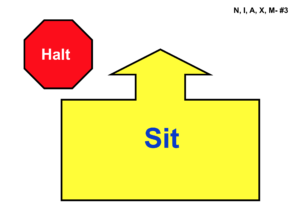 The judge tells the handler to begin, and the dog and handler proceed at their own pace through a course of designated stations (10-20, depending on the level).Each of these stations has a sign providing instructions regarding the next skill that is to be performed. Scoring is not as rigorous as traditional obedience. Unlimited communication from the handler to the dog is to be encouraged and not penalized. Handlers are permitted to talk, praise, encourage, clap their hands, pat their legs, or use any verbal means of encouragement. Multiple commands and/or signals using one or both arms and hands are allowed. However, the handler may not touch the dog or make physical corrections. 10-15 stations to complete with no more than 5 stationary exercises. Exercises performed vary from turning 360 degrees to changing paces during the course. 12-17 stations with no more than 7 stationary exercises. 15-20 stations with no more than 7 stationary exercises. Exercises include backing up 3 steps, while the dog stays in the heel position and a moving stand, while the handler walks around the dog. One day proofing class in a group setting, which helps dogs become accustomed to other dogs, you will receive individualized instructions as needed. Learn how to read the subtle signs that dogs communicate when they are tracking their target. Bring strong smelling high-value treats, dog's favorite toy, a buckle collar or harness, and leash. No slip chain or prong collars, no retractable leashes. Learn beginning steps to laying a track. Bring strong smelling high-value treats, a buckle collar or harness, and long leash. No slip chains, prong collars, or no retractable leashes during the search. Builds confidence plus strengthens relationship between the dog and handler. For dogs over 16 months old. Bring high-value treats, dog's favorite toy, a buckle collar, and leash. No slip chain or prong collars, no retractable leashes, and no aggressive dogs allowed. Copies of current vaccinations records. Any collar is acceptable, as long as the dog cannot slip out. 4 foot fixed length leash, no flexi or retractable leads. Small treats that will no crumble and end up on the floor. Water bowl, during warmer weather, please do not share bowls. Doggie Bags, you are expected to clean up after your dog. Exercise dog, if possible take a short walk before class, allowing time to eliminate. Wear comfortable clothing and nonskid shoes. Flip flops, sandals, and heels are not recommended. Classes start on time and last approximately 45 minutes, with 15 minutes at the end for questions, please try to be on time. Keep your dog close to you at all times. Be aware of others dogs' proximity to your own as well. Dogs that are ill are not to be brought to class for any reason. Females in season (heat) may not come. In both cases we recommend you come without your dog and observe the class, allowing you to practice at home. Do not allow your dog to approach or play with any other dog. Do not feed your dog before working them or coming to class, dogs that are hungry pay more attention. Group course setting is not suitable for aggressive, reactive, or fearful dogs. If your dog has an accident in the building, you are expected to clean it up. We will provide paper towels and spray bottles containing solution that prevents other dogs from marking the spot to aid you in cleaning up. A visit to our facility with your dog, scheduled at a convenient time for all parties. At least 45 minutes, may be longer depending on the situation. Recommendations will be given based on totality of information gathered and observance of the dog. Required Vaccination Records must be provided. One-On-One obedience training is available for modifying a specific behavior, such as house breaking, crate training, nipping, jumping, barking, chewing, separation anxiety, leash pulling, reactive dogs, and a wide range of other needs. The Training Session will be calculated from the scheduled training appointment start time, regardless of when you actually arrive ready to train, until you and your dog leave. You will not be given a longer session if you arrive late so please be on time, early if possible. Give your dog time to eliminate prior to training, have your papers and everything else ready to go at your scheduled start time. Please note that questions, completing/coping paper work, fitting equipment to the dog, etc. are considered part of the Training Session.